It must be nice to be one of the world's most famous entertainers, huh? 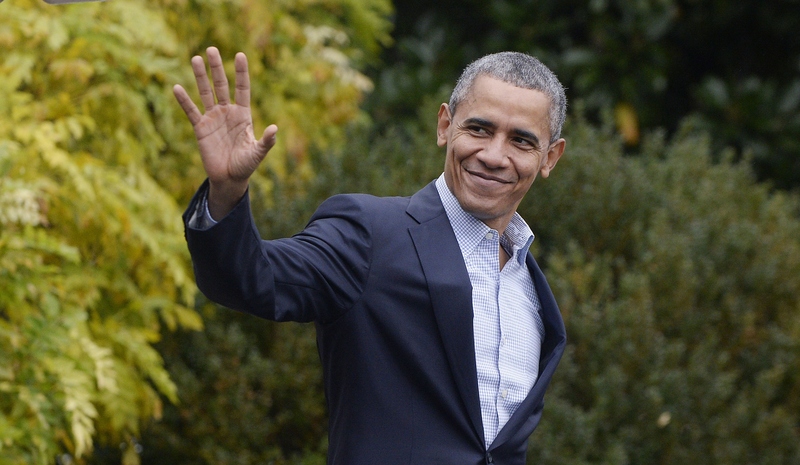 So famous that you could, say, book President Obama for your web series. And hey, if you're having trouble finding him, why not just stroll by the Oval Office window? Sure, that's enough to earn a quick takedown and a long jail stint for the average person, but then again, not all of us are Jerry Seinfeld. Basically, this photo of Seinfeld and President Obama is everything, and it solidifies Seinfeld's status as the foremost White House creeper of our times. The image was revealed Wednesday by Pete Souza, the White House's official photographer, in his annual end-of-year retrospective. You should check them all out, because there are tons of stuff there that's worth a look, but the Seinfeld snap is especially topical today. Obama's appearance on Seinfeld's webseries, Comedians in Cars Getting Coffee, is slated for release Wednesday. According to its website, the season will also feature Will Ferrell, Steve Martin, Kathleen Madigan, Garry Shandling, and Sebastian Maniscalco. But let's be honest ― the commander-in-chief is going to be drawing the most headlines over the next few days. Seinfeld's look is pretty perfect, as is Obama's ― not exactly a shocker who's got the tougher job here, based on facial expressions alone. The photo was taken Dec. 7, just weeks ago. It'll be fun to see what Seinfeld and Obama end up talking about. The president has some experience with this sort of thing. He's done comedy shows before, with memorable appearances on Zack Galifianakis' Between Two Ferns and Marc Maron's WTF podcast. In his sit-down with Galifianakis, Obama had a very deliberate pitch to make, as he was trying to drum up awareness, support, and acceptance of the Affordable Care Act — likely his signature achievement as president. In WTF's case, the interview was far longer, more wide-ranging, and more serious. Beyond his comedic skills, Maron is a skilled, intimate interviewer. Judging by the past installments of Seinfeld's show, his meetup with Obama will probably thread the needle between those two sides. He doesn't really indulge in the kind of off-kilter, awkwardly confrontational anti-humor that Galifianakis does, and his episodes are far shorter and far less personally probing than anything Maron puts out. Which could make for a nice, relaxing bit of entertainment, actually! The new episode is supposed to go up at 11:30 p.m. EST on Wednesday ― you can check the website here.